Fresh install of VCSA 6.5d build 5318154 with ESXi 6.6d build 5310538 hosts. vSAN VMkernel adapter is on the same subnet. Cluster / Monitor / vSAN / Health / Performance service / All hosts contributing stats reports the non Stats Master host as not contributing stats. Still not fixed. 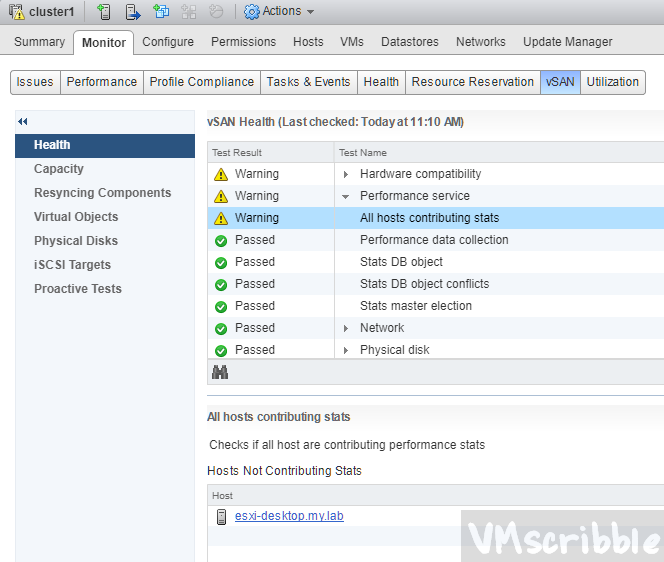 Restart the vsanmgmtd on the ESXi hosts again did not fix either. rui.key and rui.crt files were found under /etc/vmware/ssl/ on each ESXi host. 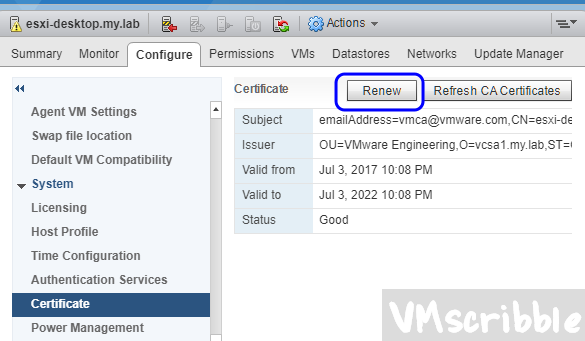 Renew the SSL certs on each host. Enter Maintenance Mode on host 1. Move the host out of cluster. Restart management services via services.sh restart Move the host back in cluster. Exit aintenance Mode. Repeat on the 2nd host. 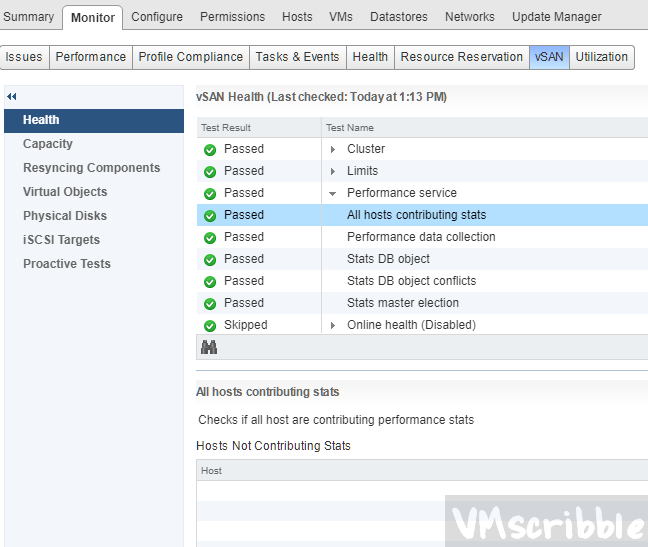 Enable Debug logging for the vsanperf service on the ESXi hosts. Sure enough the vSphere Web Access incoming port 80 was unchecked per custom policy. It is checked off out of the box. Wait 3 minutes and re-test the health check and it is not green.